Contact the Mango Maids team today to schedule your office cleaning! A dirty, cluttered, unsanitary office space can seriously affect your business. An unpleasant office space can not only demoralize employees but can begin to pose health risks for employees. Utilize professional office cleaning services in order to keep your business in top condition both aesthetically and hygienically. Cleaning a small and or large office space can be a tall order for individuals lacking the proper knowledge, team and or equipment. That’s is why your office cleaning needs should be handled by an experienced and skilled professional. Business owners can focus on running their business and let their professional janitorial service provider keep their office space clean. The professional office cleaners at Mango Maids have the eco-friendly equipment, skills, experience and knowledge to professionally and efficiently clean your office space. You can absolutely trust your office cleaning needs to the experts at Mango Maids. Call or email us today for more information! Professional office cleaning contractors at Mango Maids have the equipment, eco-friendly products and experience to leave your office spotless. Our professional janitorial services work on a customized contract to meet your professional janitorial needs. Your office space deserves a professional cleaning service to keep it completely clean and sanitized. Feel free to contact Mango Maids today to learn more about our professional janitorial services! Nearly every day there can be numerous people using the same commercial office space. This can cause a variety of respective messes, dirt accumulation, dust in the air and so much more that can lead to a relatively dirty office space. If unclean commercial properties are left to worsen they can begin to pose serious health risks to those that frequent the property. Make sure your commercial office space is safe and motivating with professional commercial cleaning services! Is your office carpet showing stains, seeming dusty or dull, or has it simply been over a year since your last office space carpet clean? Then you should consider professional office cleaning services from Mango Maids. Our team of professionals, coupled with our eco-friendly approach and products can leave your office carpet space spotless and completely sanitized. We can work around your schedule and develop a custom quote to meet your specific office carpet cleaning needs. 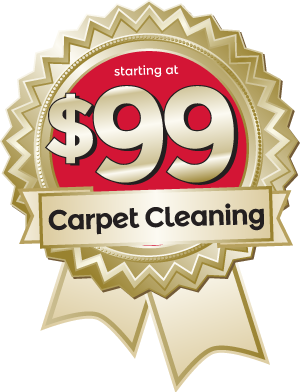 Call or email Mango Maids today to schedule a carpet cleaning consultation! At Mango Maids we understand that various office spaces, styles, sizes, and purposes can require very separate office cleaning needs. That is why we offer free custom estimates and office cleaning consultation for your office cleaning needs. Professional office cleaning consultations are ideal for discovering both the extent of your office cleaning needs and much about the required services required to completely clean your commercial office space. For each of your specific office appliance, carpet wall, or unique cleaning needs, contact Mango Maids! Our eco-friendly approach and skilled team will leave your commercial office space completely cleaned. You can trust the office-cleaning experts at Mango Maids to provide top levels of cleaning service and customer service throughout your office cleaning projects. Contact Mango Maids today or schedule office cleaning service with our “Book Online” page! Contact Mango Maids today for professional office cleaning services – fill out your information below and our customer service team will be in touch with you shortly!